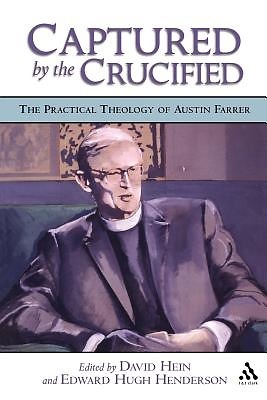 The British theologian and New Testament scholar Austin Farrer was a member of " the Oxford Christians," conversing frequently with C. S. Lewis, J. R. R. Tolkien, Dorothy Sayers, and T. S. Eliot. A. N. Wilson has called Farrer "the one true genius of the Church of England in the 20th century." Farrer's theory about the Synoptic Problem remains one the most debated theories of Synoptic relationships in contemporary New Testament scholarship. The editors have put together a book that makes the practical, spiritual meaning of Farrer's thought available to those who desire to integrate serious thinking with faithful life. Contributors to the volume include Ann Loades (University of Durham), Diogenes Allen (Princeton Theological Seminary), Julian N. Hartt (University of Virginia), Charles Hefling (Boston College), and O.C. Edwards (Seabury-Western Theological Seminary). David Hein is Professor and Chair of Religion and Philosophy at Hood College and the author of Noble Powell and the Episcopal Establishment in the Twentieth Century. Edward Hugh Henderson is Professor of Philosophy at Louisiana State University and co-editor with Brian Hebblethwaite of Divine Action: Studies Inspired by the Philosophical Theology of Austin Farrer.